Steven (Chicagoland, United States) on 8 November 2012 in Transportation and Portfolio. All photos from the Pacific Coast Highway trip are tagged "pch" if you want to see what has been posted so far. Photo captured on August 16, 2012. Excellent composition and clarity. The figures on the walkway are a great inclusion as well. The 800m mens final will take place at 3:00 pm? Sehr schön mit dem Licht und den Schatten. Very nice frame. 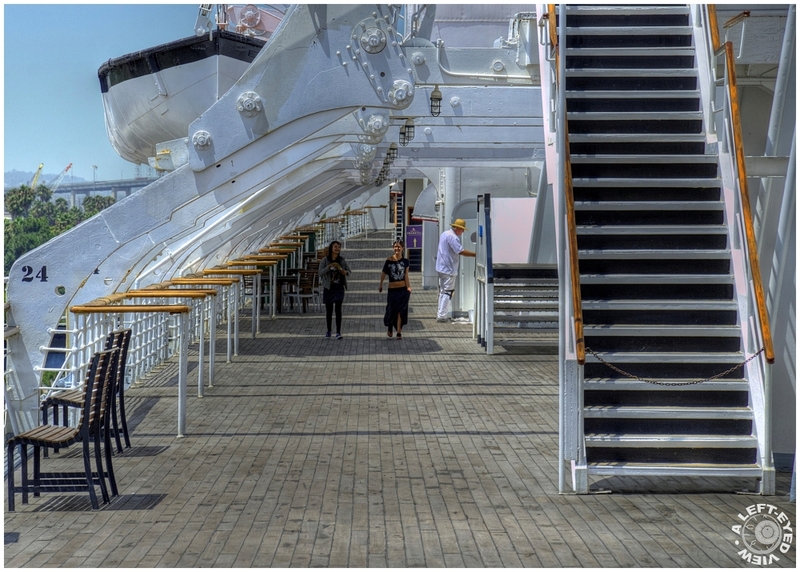 I like the mostly empty walkway with just enough traffic to give the ship some life. contrast and focus are superbe.you know that 105 mm is stunning lens. A gorgeous image of this beautiful ship! I like the POV and the graphic beauty of this ship. Excellent composition with a great visual impact. That's a beautiful arcade of steel. A crisp, lovely shot.